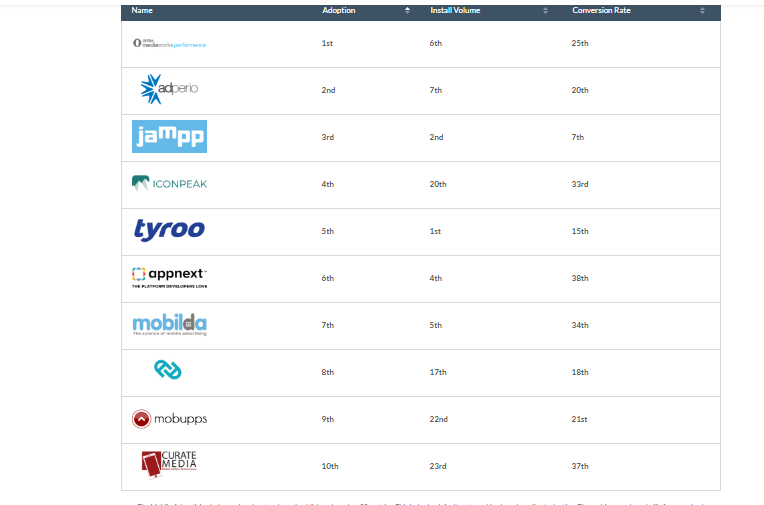 The Mobile Advertising Index (https://www.tune.com/resources/mobile-advertising-index/#results/filter) allows you to quickly discover and evaluate the best advertising partners of the moment, so you can optimize return on ad spend and scale your target audience. 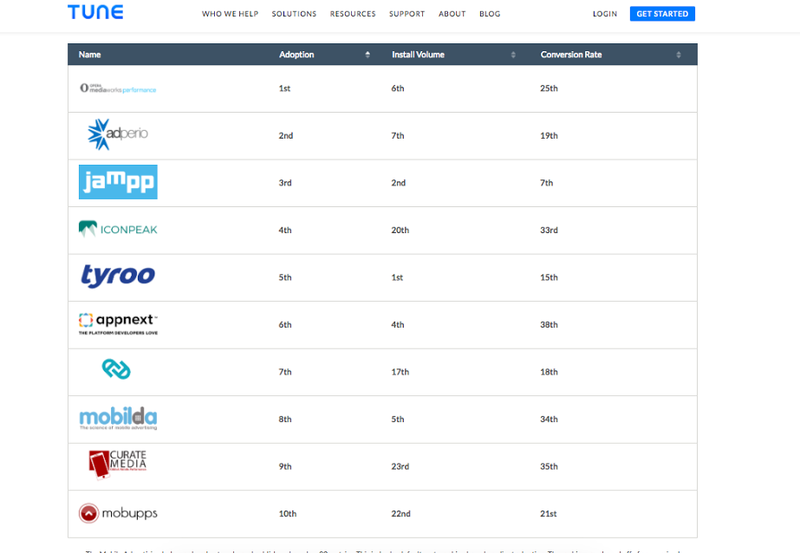 The tool will enable you to filter advertising partner performance across 20 criteria ranging from device type, geolocation, payout structure, and more. Get instant results for over 1000 ad networks and publishers. Tomchin Yaron CEO of Mobupps «Recent years in the mobile advertising space there has been a growing number of ad networks. When you are researching new advertising channels, sometimes it’s helpful to look at various ranking reports and to find out which partners are most relevant to your unique campaigns, you’ll want to look at real performance data that are tailored to the metrics you want to measure. You can reach successful mobile campaign only when a marketer at the client side find a mix of successful channels, and usually several of these channels (at the price, volume, audience, GEO and more) That’s why this the first version of Index by Tune give you a peek at data that is available to help you make better advertising decisions. We are very proud to be in the top categories on many markets and different metrics. We invest a lot last year into technology, improving processes and fighting fraud and show its results now by working with many clients and doing good results and high volumes for them. Our success it’s our clients success and vise versa! We hope to continue the high growth of the company and keep the growing our circle of happy clients».